Don’t settle for less than the best. Merlin Lincoln, Saskatchewan provides an experience like no other. Our people are specially trained to ensure you have all that you need. From the perfect Lincoln to the perfect auto loan, we’ll help you every step of the way. Merlin Lincoln has a stunning collection of luxury Lincolns, including the MKC, MKX and the super stylish Lincoln MKZ for sale in Saskatoon. The Lincoln MKZ is the definitive vehicle for those who want to stand a class apart. Innovations are to be found in every aspect of this midsize luxury car. The Lincoln MKZ comes with an optional twin-turbocharged 3.0L engine that produces 400 horsepower. This 4-door sedan has one of the largest panoramic glass roofs among sedans. The entire glass panel slides back at the push of a button to give you a feeling of pure exhilaration. Merlin Lincoln goes a step beyond by making everything easily available online. Whether you want to browse through our inventory and see which Lincoln MKZ suits you best, apply for a loan or book an appointment for vehicle maintenance, everything can be accomplished online. You can speak to one of our online representatives, contact us on (877) 385-2278 or come, visit us at 3750 Idylwyld Dr N Unit #2, Saskatoon, SK S7L 6G3, Canada. We look forward to serving you today! Merlin Lincoln welcomes you to indulge in the luxury of our Lincoln collection. Find a Lincoln MKZ in Saskatoon, with redefined sophistication, stylish exteriors and elegantly understated interiors. This sedan comes with a Lincoln signature grille. Roll up in style with optional 19-inch satin finish 7-spoke or 10-spoke machined aluminum wheels. You can also opt for ambient lighting with 7 unique colours so your car always sets the mood. What’s more, the Lincoln MKZ projects a logo welcome mat on the ground, when you approach it. Whether you’re looking for the Continental, MKC, MKX, MKT, MKZ or Navigator, we have them all under one spacious roof at Merlin Lincoln. Each Lincoln MKZ for sale at our store gives you more control over the road and assists you in precise driving every step of the way. Adaptive cruise control with stop-and-go capability scans the speed of the traffic in Saskatoon and automatically brakes or accelerates to match your set speed. Electric Power Assisted Steering adjusts the rigidity of the steering wheel to give you the best driving experience at different speeds. Enhanced Active Park Assist helps you park with more precision than you ever thought possible. At Merlin Lincoln, we want to provide you with the best vehicle-buying experience. We’ll help you with every stage of the process, including finding the Lincoln that suits you best, finding an auto loan and servicing the Lincoln from time to time. We know that the Lincoln MKZ will give you the best driving experience there is. This luxury sedan is available with a Driver’s Package that blends Dynamic Torque Vectoring and sport-tuned suspension for the ultimate driving feel. Active Noise Control decreases unwanted noise and makes the cabin serene. Look through our collection of Lincoln MKZ online, and get in touch with an online representative today. 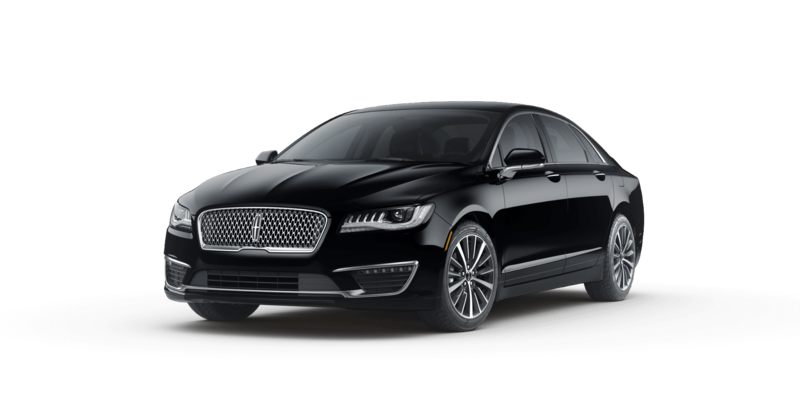 At Merlin Lincoln, the premier dealership for Lincoln at Saskatoon, we showcase all the luxury Lincolns, including Continental, MKC, MKX, MKT, MKZ and Navigator. The Lincoln is available with Sync 3, which gives you voice-controlled entertainment and navigation. You can opt for a 14 or 20 speaker Revel Audio system, which converts a simple drive to a live concert experience. The Lincoln Way App lets you make parking reservations, unlock and start your Lincoln remotely and schedule complimentary Lincoln Pickup & Delivery. Come, visit us at 3750 Idylwyld Dr N Unit #2, Saskatoon, SK S7L 6G3, Canada and try the next level of luxury today! When they say " Its that simple" It really is! Some of the greatest Sales members I have seen From management to wash bay everyone one is super friendly Not your typical push sales, Its a professional hostile atmosphere Would strongly recommend this Store to anyone! Everyone was friendly and joyful and treated me with respect and listened to my wants and needs. would recommend to everyone i know. I bought a truck here 11 years ago and to this day I service it with Merlin. Darren is awesome. I feel that he listens and will talk with me about the issues (I just drive the truck -know nothing!!). I don't feel taken advantage of . I am a women and being fairly treated is big deal in this space. When asked were I service my car I always recommend Darren. Pleasant timely SERVICE! Could only be better if it was free!